Don’t get discouraged by seeing some of the following links about EvE Online trading / markets tutorials, links, software and resources are old or residing on old forums. Most of their “juice” is still perfectly valid even today (2016). Trading for very Beginners: this is a quite ancient yet very easy to read and understand guide for the beginner EvE trader. 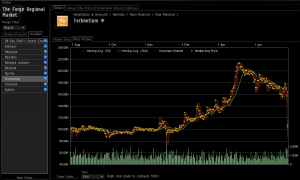 Grismar’s Trade Basics: another old yet valuable introduction to EvE trading. There’s also a followup article explaining the various skills involved with the profession. Official EvE Online beginner and advanced trading guides: these guides are in Wiki format and provide a sizable number of links to related beginner concepts and articles. 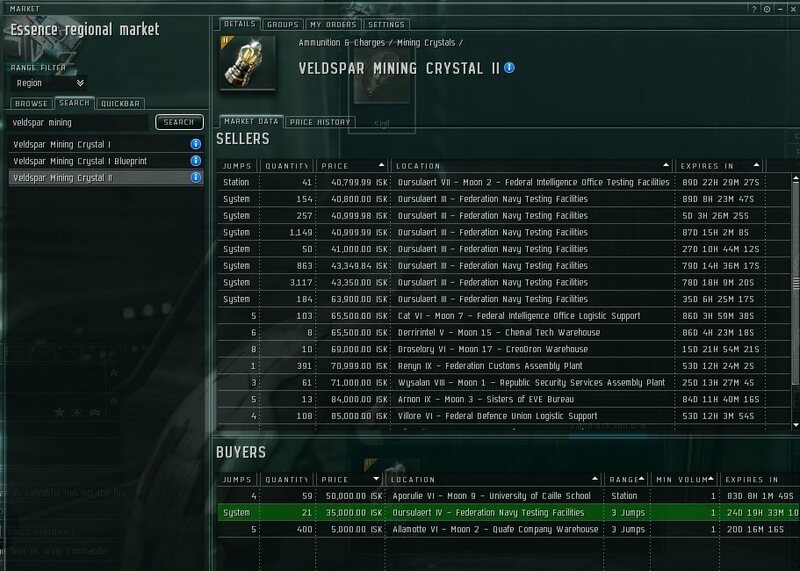 Official EvE Online Market guide: this beginner guide covers the underlying game mechanics that govern EvE trading and the various user interfaces. It comes with a good deal of screen shots and tips. Market Discussions FAQ: another quite conversational article covering a broad range of EvE market related concepts. It includes elements about the “meta” game as well, such as investments, auditors and so on. EvE University trading guide: this is an excellent resource for the new trader. It covers basic and less basic concepts and goes so far to include some audio tutorials. Enlarge your wallet! : trading is simple (but not easy)! This very simple, practical pearl of a guide is what made the back then newbie Vaerah Vahrokha increase her wallet from 50M ISK to 1.2B in below one month, in times when making money in EvE was harder than now. Economics 101: this short but informative article explains what’s Opportunity Cost and Return Of Investment (ROI) and provides formulas to calculate them. It’s aimed at the trader who wants to take more insightful and informed decisions. Margin trading scam: what it is and how to counter it. 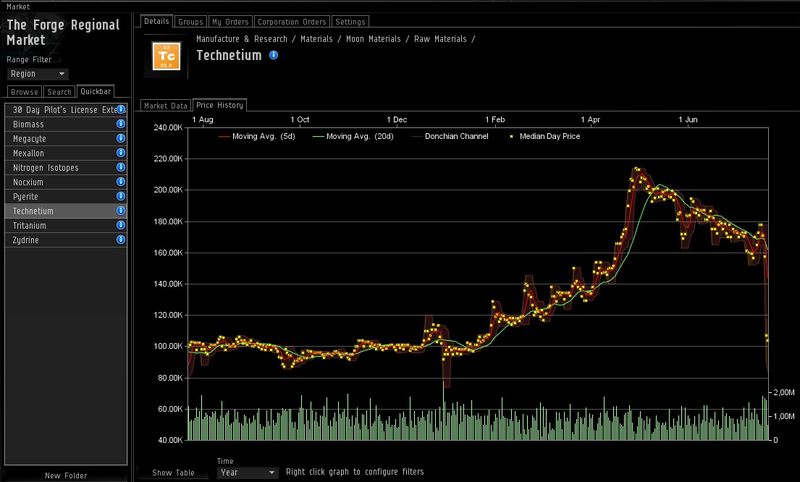 How to read the in game EvE market charts : a quite detailed guide about how to read and understand the in game market charts. It also introduces the readers to some common price patterns. The Slow Sell System for Lazy Marketeers: this post teaches an alternate way to trade, by letting markets run their course. This article is what pushed Vaerah Vahrokha to learn how the real life markets work (swing trading) and eventually to become a real life trader. 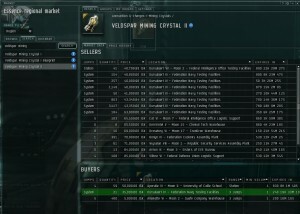 EvE Market Companion: this is a website aimed at Station Traders. It shows a constantly updating feed of trade recommendations about which commodities are currently “hot”. It’s a “trial and buy” service, with a free delayed feed for everybody, a limited time real time feed for those who want to check it out and a real time feed for subscribers. The Market Indices: what they are and how CCP calculates them. The EvE Contracts system: a nicely detailed guide about how to use contracts in EvE Online. 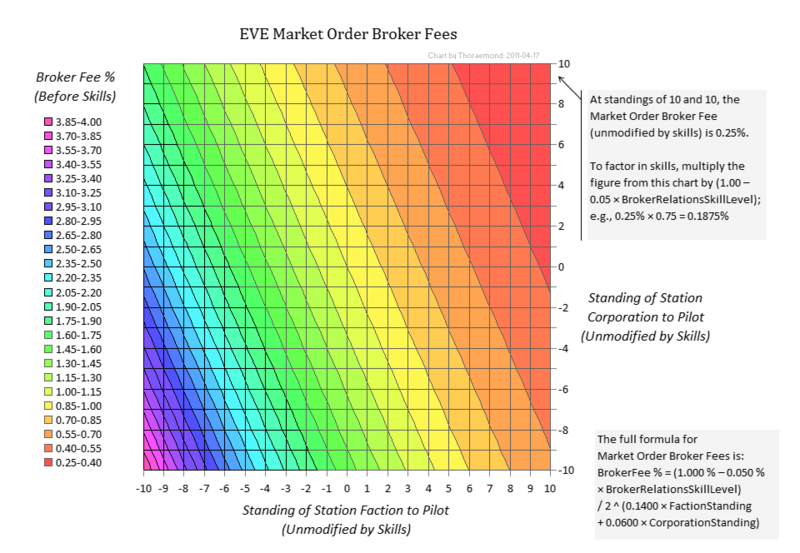 EvE Online Broker fees diagram: hosted on EvE Files.com it shows how broker fees change depending on several factors. The SCC Lounge: this is a trading flavoured in game chat. Many Market Discussions posters hang around there. This is the introductory thread.